Hey everyone! A couple weeks ago I had a holiday party with the company I’m interning for and went to a place in Brooklyn that I had never been before. It’s Brooklyn Bowl, and it’s a lot of fun! 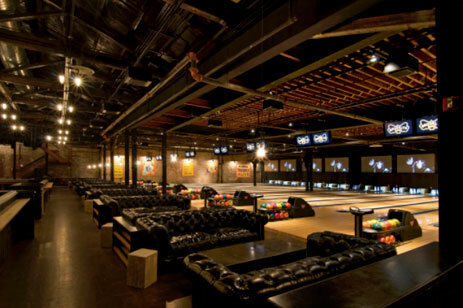 It’s not only a bowling place, but also a bar and concert venue. 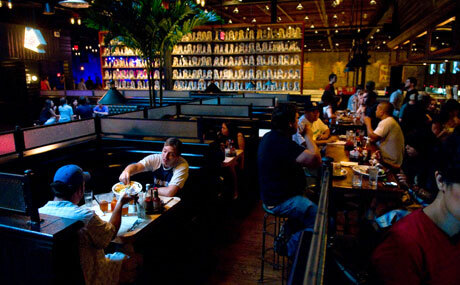 Brooklyn Bowl has redefined the destination entertainment experience. 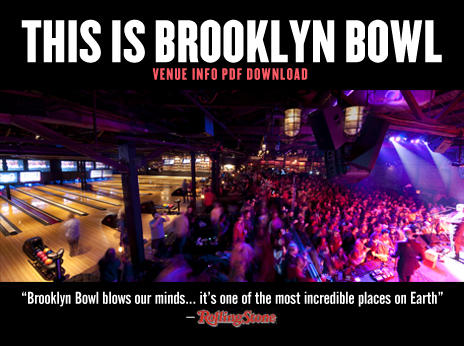 “One of the most incredible places on earth,” according to Rolling Stone, Brooklyn Bowl integrates a premier performance venue, food by Blue Ribbon, bars which feature local craft brewed beers, and 16 bowling lanes which give guests a unique place to relax, eat, drink and watch a performance. Brooklyn Bowl is located in the former Hecla Iron Works (built 1882) and was the first L.E.E.D. certified bowling alley in the world. This is a great place for big parties. If you are celebrating something with a lot of people, you may want to check it out. There’s plenty of space in the bowling area, they offer good bar food and there’s room to dance as well. I’m not going to lie. I’m not good at bowling. However, it is a lot of fun and it’s one sport I don’t mind playing when having fun! The place wasn’t difficult to reach. It is pretty close to Bedford Avenue stop, which is the first one after Manhattan with the L train. That means it’s just minutes away from Manhattan. When I went the only event going on was the company’s party. However, I know that this place offers a lot of events, shows, concerts… that are very popular. 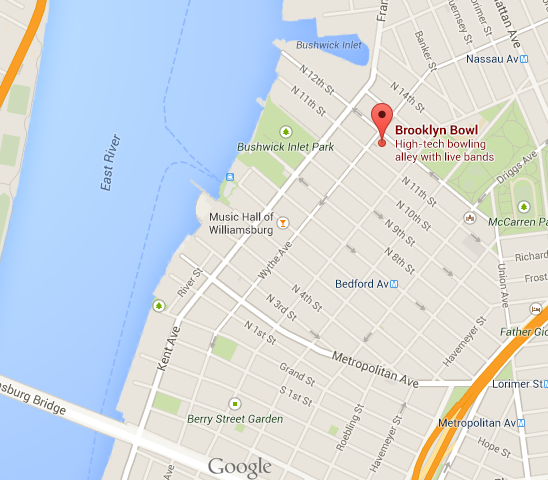 You can check the event calendar at brooklynbowl.com, where you can find time, ticket prices and even book your tickets for each event. For those who haven’t been around the area and are wondering, this is a very safe neighborhood. Packed with young people and with lots of events going on everywhere. Finding a cab might be difficult, which is why apps like Uber (which you can check out at my previous post at berkeleycollegeblog.com) can come in handy! I hope you have fun there if you give it a chance! Thanks for reading and see you soon! Previous Post Back Home for Christmas 2013! Next Post New Year’s Eve Looks!